Aquastar Cleaning Services is proud to serve the area and the Powder Springs residents. Known for its Cobb County Youth Museum attraction and its close proximity to the Six Flags Over Georgia theme park; Powder Springs is located in Cobb County and includes the 30127 zip code. Our mission is to offer Powder Springs house cleaning services to homeowners' in a way that communicates our dedication to upscale services - without the upscale pricing. That's why we offer both standard and individualized levels of service to all of our clients. Additionally, we also offer one time cleaning services, move in and move out specials as well as monthly services, bi-weekly, weekly or even daily maid services. In a city of more than 13,940 residents, it's important that you find a cleaning service who has the time to be there for you whenever you need them. Aquastar Cleaning Services offers Powder Springs house cleaning services to homeowners' in this area Monday-Friday, from 8am to 6pm and on Saturdays from 9am to 2pm. 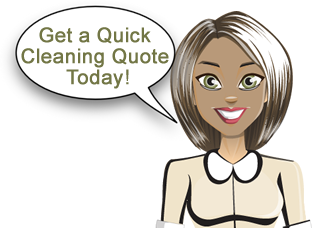 We can tailor our house cleaning services to suit your individual situation and pocket book. Alternatively, you may also choose one of our standard packages. The friendly cleaning professionals at Aquastar cleaning Services will help you find the best solution to suit your needs.